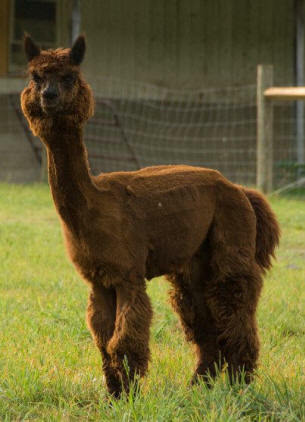 Zacharia C: Zach is the son of the well-known Black Magic owned by Stachowski Alpacas. This male is correct in every way, conformation, incredible fiber, presence and a super, easy going personality. Looking for a vicuna fawn carrying black genetics? Look no further. His fiber has amazing density and uniformity. He carries himself in such a regal way, that he draws your eye immediately, wonderful poise and conformation. 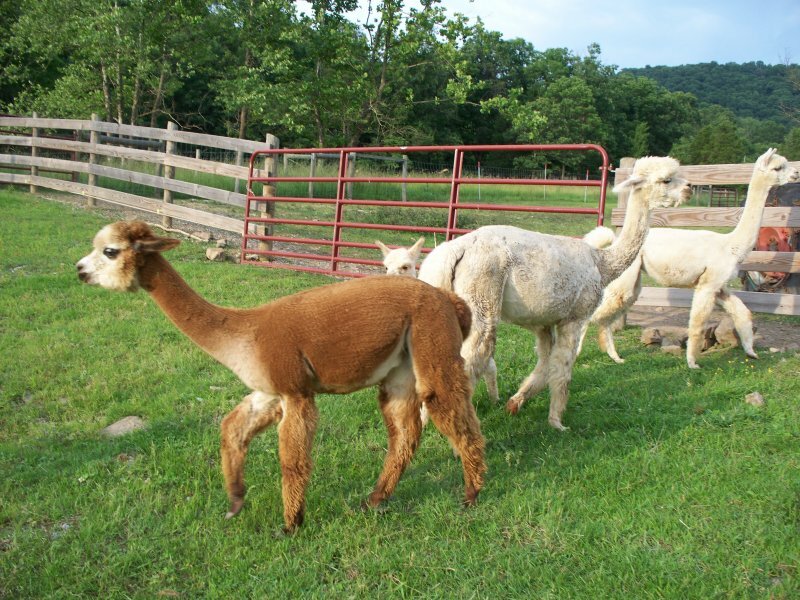 Zach is gentle and an easy breeder with the females and we are so very pleased with his new crias in numerous colors. 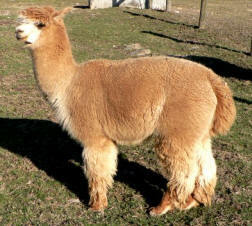 All of his cria have his wonderful easy-going personality along with fantastic fiber and presence. We LOVE Zach's kids! Twelve offspring, 10 girls and 2 boys (20% boys and 80% girls!) Zach was a wonderful working male incredible in his prime and is now a favorite retired and living the good life here on the ranch. Proven genetics, incredible results! Zacharia is available for limited breedings in 2011. Any female visiting Zach at Double "A" Ranch must have recent veterinarian's health certificate and have travel companion to keep her comfortable in our quarantine pasture. Zach current stud fee is $1,500. 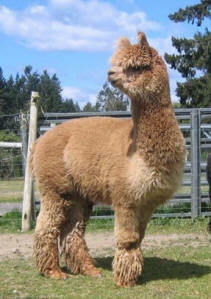 Herdsire, his cria are all beautiful show stoppers. Sir William Wallace, with pure Bolivian aristocracy ; Acero Marka's Bernard and Acero Marka's Frivolous as grandparents on his sire Major-B's side and a full Chilean Cava MME Genaca Snoball as his mom his destiny is pretty well carved out. 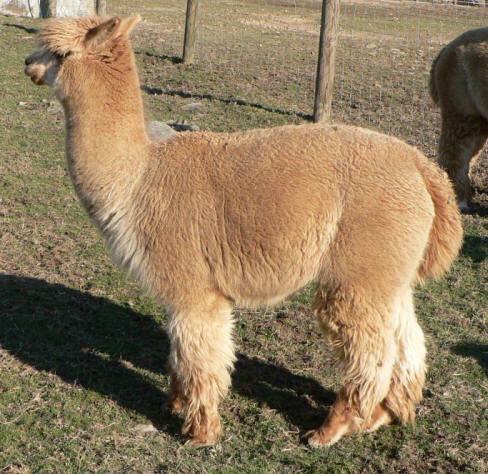 His luxurious deep fiber, gentle manor and easy demeanor makes handling this young herdsire a delight. 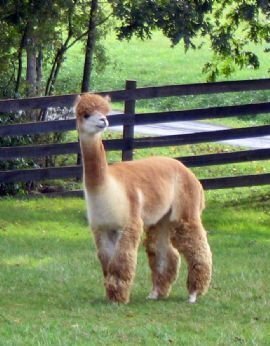 Pictured here Dec. of 2006 in Florida at not even 7 months old, he had fiber so dense that as a cria he had to have most of his blanket sheared for his own safety and comfort. 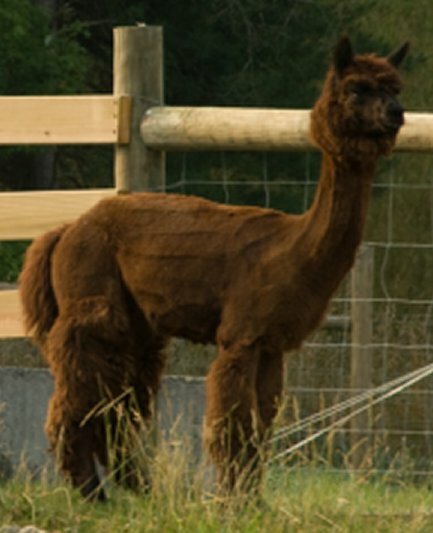 W2Star Ranch's GBFA Peruvian Shaylah is bred to Wally for 2011 cria. We'll be very excited to see what else he passes down in wonderful offspring. 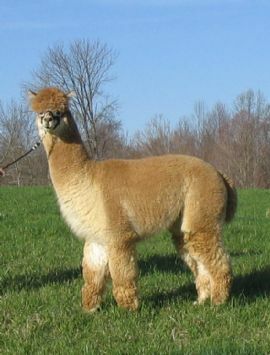 After all it is The cria that are the test of any herdsire. The traits that they throw are far more important than even their own characteristics. Wally's current stud fee is $200. 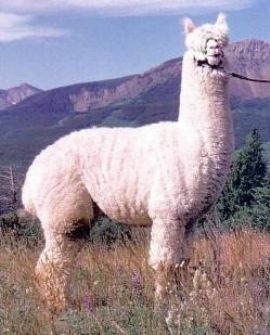 Mr. Chip wasn't with us nearly long enough he was a beautiful alpaca with an exciting sense of humor. He passed on due to an unusual accident but not before he was able to get to know the ladies and settle our lovely pure blooded Chilean Cava MME Genaca Snoball. 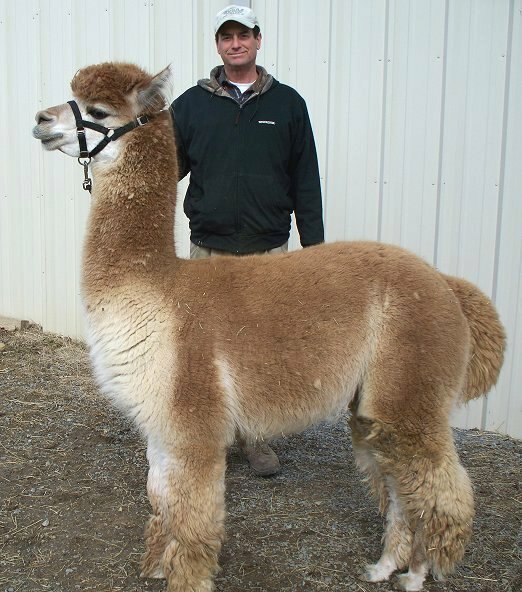 Mr. Chip's lineage is of full Peruvian a stately dam of incredible chocolate color named Fudge Cookie and a famous sire named Coyo Destini pictured below, well known for his many ribbons won in Canada. 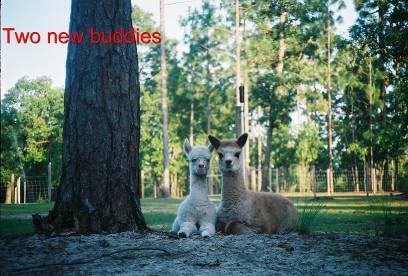 *Update* July 18, 2008 Snoball delivered Mr. Chip's female cria named Mr. Chip's Angela Rose. His mischievous personality and sense of playfulness was passed along to this beauty. 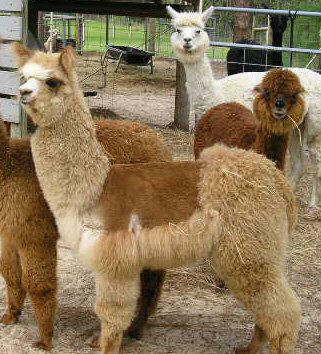 Double "A" Ranch is in the process of breeding and acquiring a group of male alpacas that is second to none. As our herdsire program develops we'll keep you informed. Every day is a wonderful experience with alpacas!